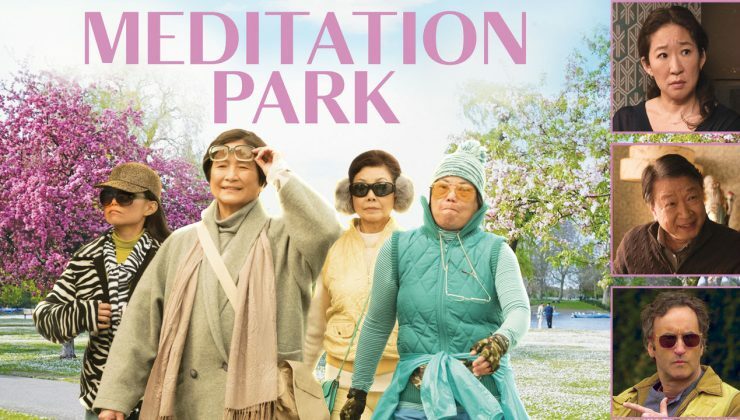 Please join us Monday April 16th @ 7:00 pm at the Aurora Cinema Centre for ‘Meditation Park’. Ticket sales will stop at 6:55 pm so our film loving volunteers can see the beginning of the movie. Tickets are $13.00 each or $55.0 for a flex pass for 5 films. Don’t forget to bring cash as the theatre’s ATM is not always working. Synopsis: Mina Shum directs an all-star cast — including Cheng Pei Pei, Sandra Oh, Tzi Ma, and Don McKellar — in her latest feature, about a devoted wife and mother (Pei Pei) who is forced to reassess her reverence for her husband after she finds another woman’s thong in his laundry.